I ‘ve known Krista for years, and trust me when I say she is an amazing writer. The girl puts out book after book, and they simply just get better and better. 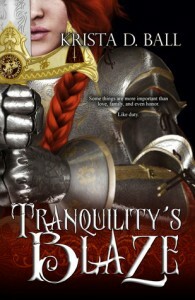 I was lucky enough to help Beta her first Tranquility book – Tranquility’s Blaze (I’m even in the acknowledgements!) and Bethany’s story is one I’ve always loved. A half-breed and a female, Lady Bethany clawed her way to the ranks of the Elven Service’s top military elite. They only knew her as their champion against Magic, and not the daughter of a Goddess. She’d expected a long, rewarding life protecting those under her care. But that was before her twin sister returned from exile, addicted to brutal Magic and human sacrifice, twisted inside, and abusing ancient prophecies to overthrow their mother and destroy everything Bethany holds sacred. The world will burn in flames and innocents will die, unless Bethany can stop it. Unless she can take the life of her own sister. Thousands are dead. Lady Champion Bethany’s tainted sister is slain. Her home lost forever. And Magic yet survives. Bethany thought she’d given everything in the fight against Magic. She was wrong. When the deaths of those closest to her shake her already crumbled world, she doesn’t wilt and die. She still has one thing left to gain even now: revenge. 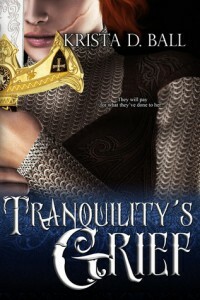 Prophecy or no, half-goddess or not, Bethany vows to bring order back to the world with the edge of her blade. No matter who she must defy. No matter what stands in her way. No matter who must die. For what they’ve done to her, all will pay. Books are available on Amazon, Mundania, and Barnes & Noble. Definitely check them out if you’re at all interested!